Jayne is a great lover of cats and looks after lost and abandoned cats at her home in Atlanta, Georgia. Jayne presently has around seventeen cats that she is caring for. The care of these cats, who are often in need of veterinary care, requires significant amounts of money to ensure they are kept fed, looked after and in good health. 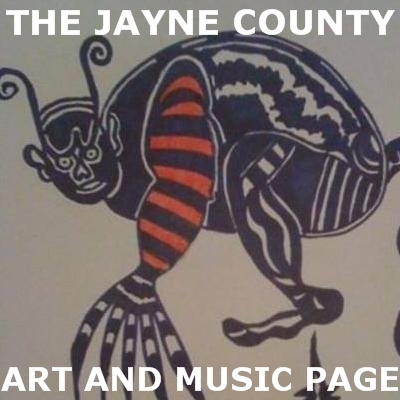 Jayne funds this care herself but also relies on money she is able to raise through royalties, sales of her artwork and donations. 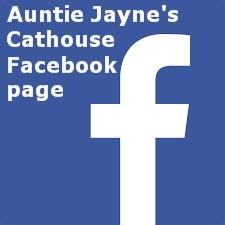 If you would like to help Jayne look after her babies please click the image to the left or see the links below to support her work. 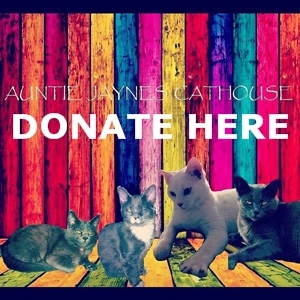 * Donations to Auntie Jayne's Cathouse are administered by Mrozinski Music Ministries.